PenTestIT - Page 23 of 33 - Your source for all things Information Security! The Open Source PHP Module Rootkit! Traditionally, rootkits are supposed to work at the kernel level and provide functions like process hiding, user hiding, network hiding, anti-debugging, anti-forensics, persistent reinstalls, backdoors, etc. Then there are bootkits, which infect the Master Boot Record (MBR), allowing execution before the operating system itself boots! Some of them listed on the PenTestIT blog Read more about The Open Source PHP Module Rootkit! Nmap is now the default tool to discover services running on a remotely connected system. None of us really need any introduction to this very popular "network mapper". 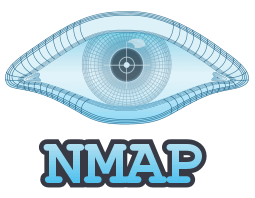 The Linux man page describes it as: Nmap ("Network Mapper") is an open source tool for network exploration and security auditing. It was designed to rapidly scan large networks, although it works fine against Read more about Nmap 7.50 Now Available! Belati: An Open Source OSINT Dagger! Belati is Indonesian for a dagger. Similarly in Python, it is also an open source OSINT tool that help you collect public data & documents from a targeted website or other services. It is inspired by FOCA and DataSploit, both tools that I earlier covered on the PenTestIT blog. Read more about Belati: An Open Source OSINT Dagger! Hiding your tracks for public facing targets has become easier - thanks to scanless! It allows you to scan IP addresses utilizing online services that already exist. However, instead of you manually submitting the target to each of them, this Python script does it for you. What is scanless? Scanless is an open source script coded in Python that helps you to perform port Read more about scanless: Anonymize Your Port Scans!